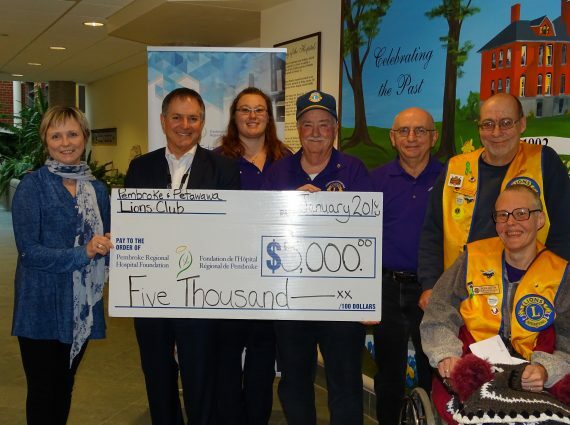 The North Renfrew District Federated Women’s Institute of Ontario has made a $2,500 contribution to the Pembroke Regional Hospital Foundation’s MRI Campaign. In October, Elaine Hennessy and Iris Briggs (Treasurer of the North Renfrew District Women’s Institute), both long time members, visited the Foundation office to share their story and to make the donation official. Watch for the ladies this fall selling raffle tickets for this year’s quilt at the Giant Tiger, the Christmas Farmer’s Market, and other events. 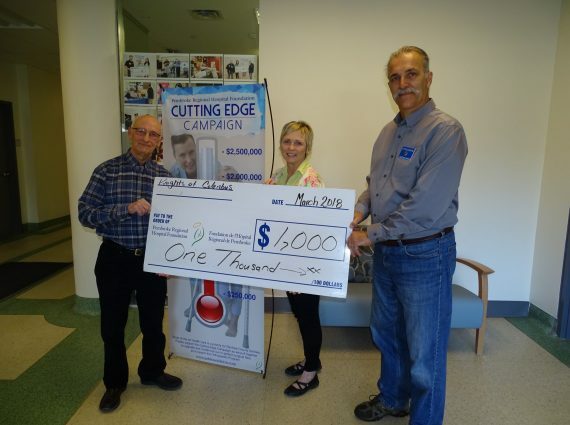 (Photo left to right) Presenting the cheque were Elaine Hennessy and Iris Briggs to Marc Poirier, MRI Cabinet Member and Jessica Bray Fundraising and Development PRHF. To get involved, donate, or help organize a fundraising event, please contact Donor Relations Coordinator Greg Junop at 613-732-2811 ext 7408 or email foundation@pemreghos.org.